Without the slightest noise, Daisy turned the handle and slowly opened the door of hospital room 744. A large purple hat overed most of her pale face. She peeked into the patient’s room. Is he still alive? she thought. Shouldn’t he be dead by now? Daisy wondered how much longer it might take until his last breath finally extinguished his life. He had to die soon. Diane posted about this book and I decided to read it so I put a hold for it at my local library. I should get an email in a few days letting me know I can pick it up. Ooh, I love that purple hat! The book sounds good. I do too, purple is my favorite color! I’m very curious about this new-to-me book. I hope my copy comes in soon. I’m curious too. I have to know why the purple hat lady is so anxious about when this guy is going to die. I’m off to see if my library has a copy. Good one Vicki – and Diane. I hope they have it, I’d like to know what your thoughts about it are. 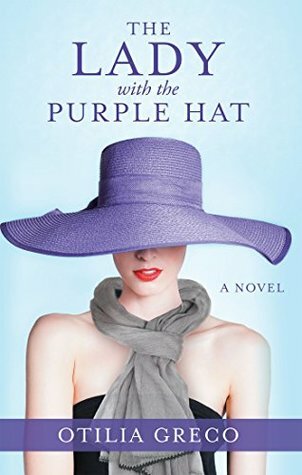 Sounds like a good one to me too – I’d love a purple hat! Me too, I want one! This opening makes me want to know more! Me too, I can’t wait to start reading it. I’m curious too about that hat – though if this person’s aim was to be inconspicuous I think a purple hat might not do it. Ha! Enjoy it, Vicki! LOL! I never thought of that but I agree with you! Vicki, I hope you enjoy this one more than me. I just didn’t like Daisy. LOL It is a super quick read though. The blurb and intro sounded so good I thought I’d give it a try, but I’ve been having trouble liking main characters in the last few books I’ve read so I do hope I like her. Love the cover. It sounds like something I’d enjoy. I hope you like it. I’m curious! oh I just love that purple cover! It’s simple yet stylish -just like the hat! Thanks for hosting! Thanks for sharing the opening of this book, Vicki. I read Diane’s review yesterday. I did to Susan. 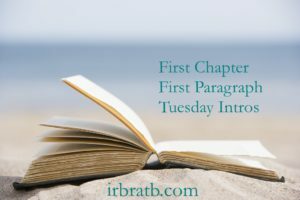 I really like to intro and blurb so I’m hoping I like it more than she did. I liked the intro enough to see if my library has it to request too! My library had it but I’m still waiting for an email saying I can come pick it up. I’m curious. She seems awfully concerned that the guy hasn’t died yet. I know, it sure grabbed my attention. I’m curious too, why does she want him dead. Don’t know but I want to find out.